I own a few coloring books by Hanna Karlzon and I was looking forward to receiving Magical Dawn which I purchased sight unseen on pre-order. The book is filled with designs in Ms. Karlzon’s unique style. I think that the designs in this book are even more elaborate than her previous ones. There are many more jewels, animals, and lovely ladies. Because the book is printed two-sided, I’m being very careful with what I use to color in it. I’ve discovered that I prefer using my Faber-Castell Polychromos because 1) I like the way they work with the paper and 2) I like the color mix available for these designs. I also like to use metallic and glitter gel pens to add a hint of pizzazz to my projects. This has been true with my other copies of regular hardbound coloring books by Ms. Karlzon. I like her artist edition and postcard versions for use with my markers as those editions are printed only on one side of the page. This is what I found while coloring in this book and testing it with my coloring medium. I will list the coloring medium I use for tests and coloring in the comments section below. Sewn binding with some glue as well. You can still snips the threads to remove the pages from the book but may have to contend with a tiny bit of glue on a few pages. I’ve not tried this as I want to keep my book together. Alcohol-based markers bleed through the page. If you use these, you will have ink seep through and mar the design on the back of the page. Water-based markers, gel pens and India ink pens do not bleed through the page. Colored pencils work well with the paper. I was able to blend, layer the same and multiple colors using both oil and wax-based pencils with ease. 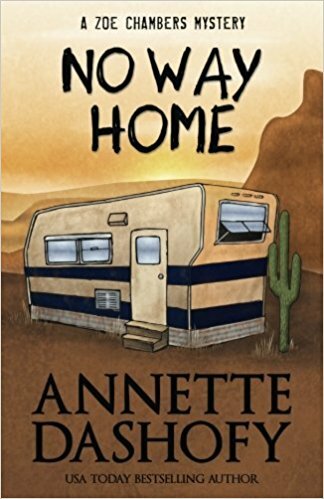 In “No Way Home”, Zoe Chambers ventures far from home and travels to New Mexico. 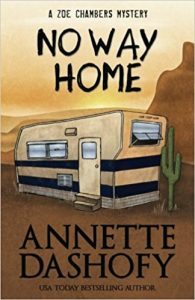 She is on the trail of her best friend’s missing teenage son, Logan. Logan has gone missing after a murder and he’s been pegged as a possible suspect. Back home in Pennsylvania, Zoe’s boyfriend and Chief of Police, Pete Adams, is on the trail of a drug dealer whose mix of products has resulted in the deaths of some young people. Pete is torn between the work he has to do locally and his worry about Zoe. Angie Curtis is back as “sleuth” in a mystery set in Maine. 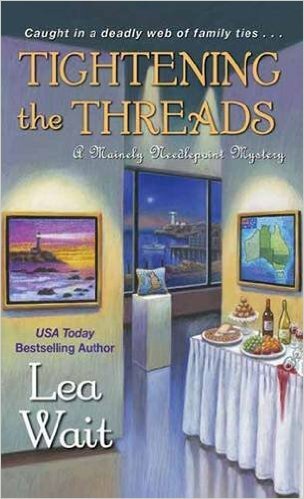 Angie is running the Mainely Needlepoint group but this time the story is less involved with needlework and more involved with paintings. Sarah Byrnes is the local antique dealer and Angie’s best friend. Sarah has moved from Australia and has spent the last few years tracking down what might be left of her family after disturbing information about her father’s move, as a child, from England to Australia. She’s found a local man, Ted Lawrence, who is her uncle and who is thrilled to find her as well. His children are definitely less than thrilled as it makes a huge difference in their inheritance. This is a really lovely grayscale coloring book which is based on the illustrations in Ruth Sanderson’s version of The Twelve Dancing Princesses. Having seen how beautiful the designs are, I plan on purchasing the story book as well. I will probably use my own color schemes for the coloring book but it will be nice to see the illustrations in their original form. I’m hoping that Ms. Sanderson will be coming out with coloring books (line drawings and grayscale) based on the other story books she has illustrated. Please note, there is a slight moire pattern in the silent, full book flip-through and the photo samples I will upload. It is not present on the actual designs but rather a by-product of filming and how the images were converted to grayscale. The designs are extremely detailed and have small and intricate spots to color. Prefacing the coloring book, Ms. Sanderson has given some excellent suggestions for colors and types of pencils to use while coloring in this book. There are 24 designs in this book and, what is very interesting, is that there are 12 bonus designs (similar to the others.) These were the designs the artist used to test out grayscale techniques. I think it is wonderful she provided those to us to test and try rather than to discard them from the final book. Paper is typical inexpensive quality used by CreateSpace: white, thin, slightly rough and non-perforated. Coloring Pencils work well with this paper. I found that I could layers the same color for deeper pigment or multiple colors and I could blend easily using a blending stick; however, some of the darker areas of the designs had a tendency to smear using this type of blender. I found that liquid forms (Gamsol or mineral spirits) did a better job. This doesn’t bother me as I generally do not use a blender on grayscale designs. I tested both oil and wax based pencils. I also found that hard lead pencils (like Verithins) leave dents through the paper. It appears (for this book series at least) that Darth Vader has turned away from the dark side of the force and is trying his best to be a great dad. One of my favorite illustrations is Darth telling Luke to use the fork while they are eating. I’ve been there and done that, so I could relate one hundred percent. There are 47 illustrations (including the preface page.) The designs have a really nice level of detail but aren’t overly intricate. The book is in a smaller square format at 8.5 x 8.5 inches. I really appreciate that Mr. Brown included a very short tutorial at the beginning of the book on how to drawn Darth Vader’s head. This is what I experienced in coloring in this book and testing my coloring medium on the paper. Alcohol-based markers bleed through this paper easily. If I use this style of marker, I also make sure to use a blotter under my working page. I like card stock but a couple of sheets of heavyweight paper works well, too. Water-based markers, India ink pens and gel pens leave indistinct shadows on the back of the page. Some gel pens require slightly more drying time than usual. Colored pencils work well with the paper. While it is slightly smooth to the touch, it still has just enough tooth to it that I got fairly good pigment coverage from both oil and wax based pencils. I was able to layer the same and multiple colors well and could blend easily using a pencil style blending stick. Jane Starr Weils is a new artist for me. I picked up this book based on the beautiful images on the cover and was completely won over by Ms. Weils style and graceful images. The designs include fantasy images but also show people and animals in realistic though romanticized designs. The designs are detailed and some include intricate areas to color. On a few of the designs, the print is slightly uneven (light to dark) but I’ve found that to be true of coloring book designs which are drawn by hand. The designs stop before the edges of the page (and the binding.) While there are no framing lines at the outer edges, most of the designs have finished elements on most sides of the design. I’m looking forward to seeing more coloring books released by this talented artist. Paper is typical of CreateSpace publishing: white, thin, slightly rough and non-perforated. Coloring Pencils work well with this paper. I found that I could layers the same color for deeper pigment or multiple colors and I could blend easily using a blending stick. I tested both oil and wax based pencils. I also found that hard lead pencils (like Verithins) leave dents through the paper. Color Me Grateful is my third full-size coloring book in this series. Of 77 designs I counted in the book, 13 are what I would categorize as mandalas. The designs in this book are detailed and intricate. Some have small areas to color which may require sharp pencils or pens/markers with ultra-fine points. The book has seven chapters, which include: Friends and Family, The Natural World, Good Health, Creature Comforts, Support, Enrichment, The Little Things. Each chapter has a lead-in which describes the intent of the designs within. For instance, Friends and Families, designs has friends shopping, a tree house, manicures and perfumes and fun things to eat while out and about. In Creature Comforts, designs include a great looking bubble bath, donuts and other pastries, a stack of books with pets surrounding it and a design with electronics that make life a tad easier. The designs in the book certainly represent many of the things I have been grateful for throughout my life. I think coloring the book will be fun and will remind me to look at the positive in life rather than focusing on the negative. Coloring pencils, both oil and wax-based, worked well with this paper. I was able to layer the same color for deep pigment. I could layer multiple colors and blend easily using a pencil style blending stick. 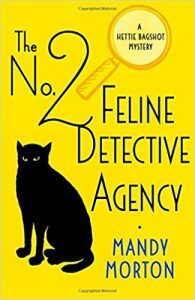 This is a fun mystery with lots of death and mayhem. 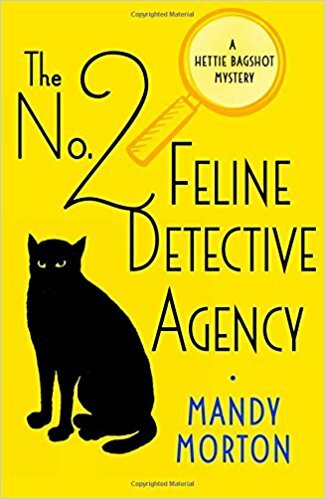 The characters in the story are anthropomorphic cats – they have the thoughts and actions of humans. What is really funny is that the author has “borrowed” a number of real celebrity humans and has created parodies of them. She has also created characters based on traits one associates with individuals from certain geographical areas, complete with accents and mannerisms. This is my first Colortronic coloring book so I didn’t really know what to expect. The designs are beautifully drawn and the suggested colors are very vibrant and create a stunning project. I followed the colors suggested for my first project except that I did not use a background color as yet. It was so much fun that I am considering buying two of the book one to follow the colors by and one with which to do my own color choices. I used Copic markers and then came back and enhanced the colors and some shading with Polychromos pencils. I found that using both gave a depth of color to the project and allowed me to fine tune my color choices for a more balanced looking project. Apart from the color choices, the animals are drawn realistically without doodles. The designs are detailed but are not overly intricate. I had no problems using any of my medium in the color areas. The color numbers do show through unless I used an extremely dark or opaque color. I’d love it if the artist/publisher also published the same pictures in a regular line drawn coloring book but I am sold on their style of color by number. This is what I found while coloring in the book and testing my coloring medium on the paper. Designs do not cross over the perforations. Each design has a framing line at the outer edge. I could get the book to lay fairly flat for coloring with a little effort. Alcohol-based markers bleed through the page. If you use this medium, I suggest using a blotter page to keep ink from seeping through. I use card stock but a couple of pages of paper should work as well. It will bleed through to the quote on the back of the page, which doesn’t bother me, but I want to note it if it is an issue for you. Water-based markers, India ink pens and gel pens do not bleed through the page. Some do leave slight and indistinct shadows on the back of the page. Some gel pens require additional drying time. Colored pencils worked well with this paper. It has good tooth and allowed for applying layers of the same color to get rich pigment. I could also layer multiple colors well and I could blend both oil and wax based pencils easily with a pencil style blending stick. This is a beautifully rendered coloring book of line drawings based on artwork by Norman Rockwell. The iconic artwork graced the covers of The Saturday Evening Post. In addition to the the designs, there is a listing of the artwork included, with the date of the original cover designs. Also included (on the inside of the front a back covers) and full color thumbnails of all of the original artwork. The designs are open and easy to color. There is a good level of detail but they have left a lot of open area to allow you to color and add your own shading and details. These are the designs included in the book: Gramps at the Plate, Boys Playing Leapfrog, No Swimming, Boy Lifting Weights, Boy Making Football Tackle, Spring, Dog Biting Man, Doctor and Doll, Men Racing to Fire, Springtime: Boy with Rabbit, Couple in Rumbleseat, Little Boy Reaching Grandfather’s Overcoat, Road Line Painter’s Problem, Football Hero, Marble Champion, Boy with Melting Ice Cream Cones, Rosie the Riveter, Girl with Black Eye, The Optician, The Runaway and The Connoisseur. The designs are bound by two heavyweight staples which can be removed to release all of the page from the book without any loss of design. Pages can be cut out if you wish without losing any design elements. Book easily opens to a flat position for coloring. Alcohol-based markers bleed through this paper easily. If I use any style of marker, I also make sure to use a blotter under my working page. I like card stock but a couple of sheets of heavyweight paper works well, too. Gel pens and India ink pens do not bleed through the page. Some gel pens require slightly more drying time than usual. Colored pencils work well with the paper. It has a slight roughness to it that allows good pigment coverage from both oil and wax based pencils. I was able to layer the same and multiple colors well and could blend easily using a pencil style blending stick.